Over the last couple of years I have put together some traditional Halloween crochet pattern designs from hats to small toys. 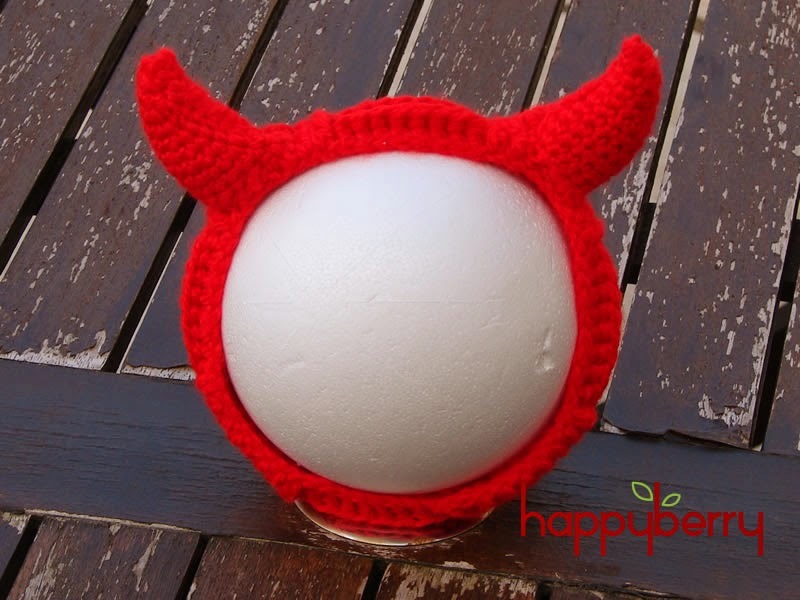 Here is a round up of what you can currently find on HappyBerry to bring a little more spookyness to your Halloween this October. This mini pumpkin technique can be applied to any sized circle for a more realistic pumpkin effect. This little critter can be made using any colour you like and can be made even more realistic with lots of sequins for eyes. For the web you can choose to glue the web into shape using children's PVA glue or you can choose to keep the ends longer to tie or stick to a wall for a really spooky effect. 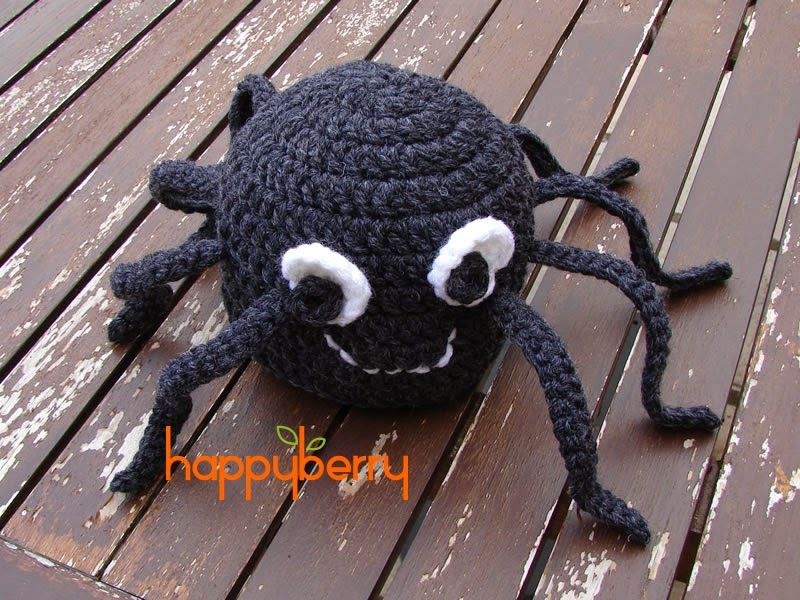 This simple beanie hat pattern comes in 3 sizes; 6-12 months, 12 months to 3 years and 3-10 years and is a free PDF download on our website here: www.happyberry.co.uk You could use this basic pattern as a spider or why not make it in orange with some leaves on top for a pumpkin hat. 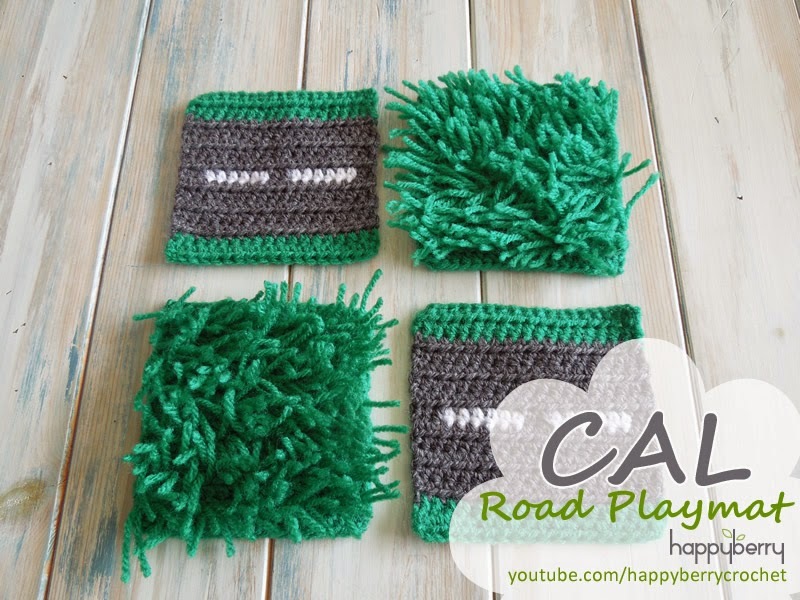 A fun project for those spooky outfits when Trick and Treating. What design will you choose? 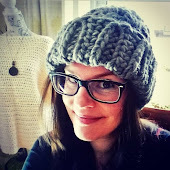 Any questions or for more free patterns why not join me on my various social media channels. 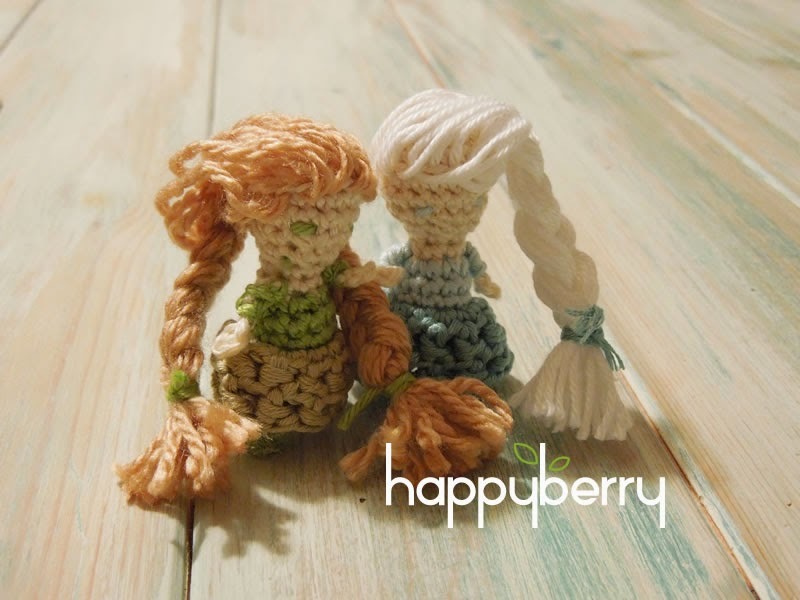 As promised here is the written version to my recent crochet video tutorial on how to crochet a miniature princess doll, which you can make into your favourite characters using certain colours for your yarn. So, what will you need! Ch1, 1sc in next st and in ea st around, sl st in ch1 - (7) Join D1 in sl st on last round. Ch1, 1sc in next st and in ea st around, sl st in ch1 - (10) Join SC in last sl st if making legs or Join D2 in last sl st if skipping legs. If you don't wish to make the legs, skip to arms now and see alternative notes for when making the skirt part. Continuing in D1, ch1, 1sc in next st and in ea st around, sl st in ch1 - (7) Fasten off for now, leaving a longer tail for sewing. Sew remaining holes closed on feet and hide tail ends inside legs, stuff legs and body and sew gap between legs closed. Hide tail ends on inside of body. Using D1, ch5, join SC, ch5, sl st in 4th ch from hook, fasten off and sew all tail ends to the same end as your beginning tail end. Sew arm on body and repeat for second arm. Note* The first front loop and the last front loop don't really exist because you ch1 when making the legs, so just attach your yarn as neatly as you can for these sts. Just make sure you have 20 sts including your ch1 when you finish. Using HC cut 18 20-30cm lengths of yarn and using a yarn needle sew each length into the front loops from round 5 and fold in half, so in total at the end you have 36 lengths of yarn for hair. Plait/braid or style as you wish. Don't forget to sew on some eyes too.